Not everyone can own rustic cabins, glitzy McMansions or artsy homes on Lake Allatoona. Thankfully, there are plenty of options for comfortable lodging around Georgia’s greatest lake. 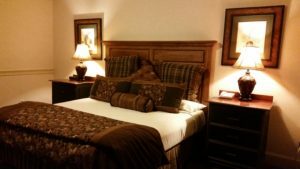 We can help you locate a romantic Bed & Breakfast, an inexpensive motel or something more fancy for lodging during your next weekend or vacation on Allatoona. We cannot guarantee that your room will be just like your own bedroom at home. Look on the bright side! It might be even better than where you live. Please Note: No one knows where trouble might strike. We’re pretty sure you won’t have to dodge gunfire to make it to your room or back to your car. We cannot promise, however, that you won’t find a stray hair in a sink or a forgotten gold Rolex on the floor. Choose wisely. Click Here for Campgrounds on Lake Allatoona.